The Flashback infection map details the Mac botnet. Since Apple maintains its own Java (the program itself is administered by Oracle), and since Apple is horrible about keeping its files up to date, Flashback exploits a security hole patched back in February that wasn’t patched in Apple’s version of Java to take control of a user’s computer and turn it loose in a botnet while sniffing out user names and passwords as you travel the web. 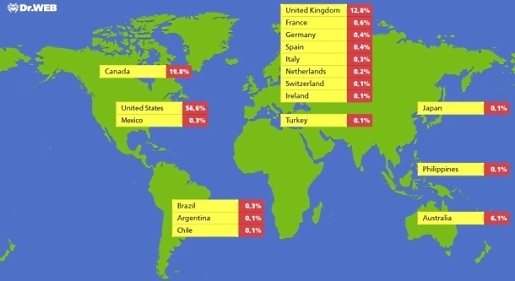 Half of the infected computers are in the United States, which isn’t surprising given Mac’s install base is basically in the US only. That said, that’s an awful lot of vulnerable computers being taken over. If you think you may be infected by Flashback, F-Secure has detection and removal directions.